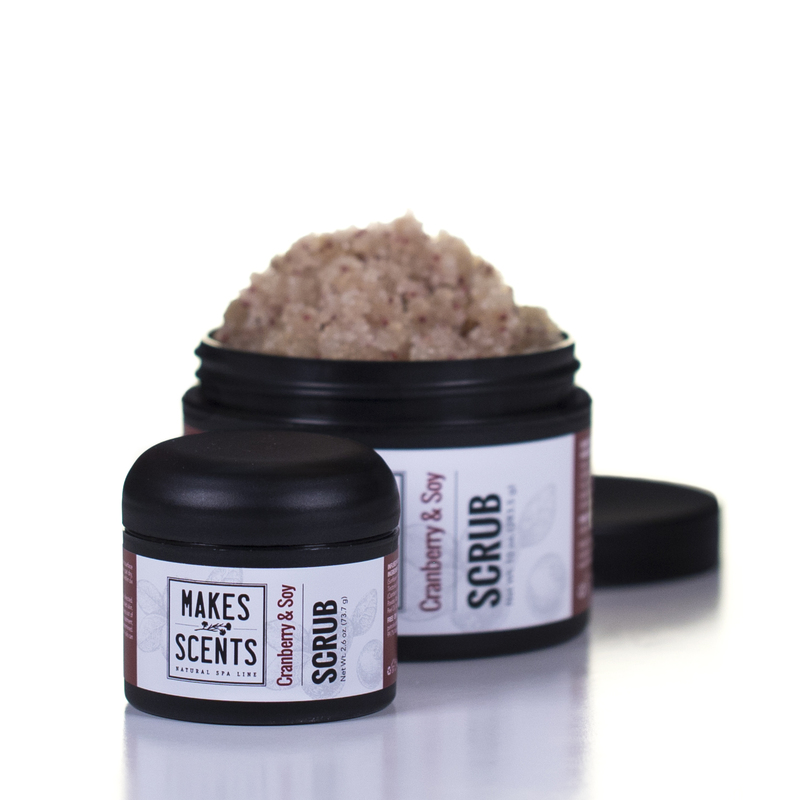 Re-establish your skin’s original glow with Cranberry & Soy Body Scrub. Organic sugar, along with cranberry and soy seeds, combined in a base of organic sunflower seed oil, organic safflower oil, and shea butter, form a hydrating, and skin-softening body scrub. Anti-aging properties contained in cranberries, such as vitamin A and C, reduce fine lines and firm the skin. Brighten dull, dehydrated skin with Cranberry & Soy Body Scrub. 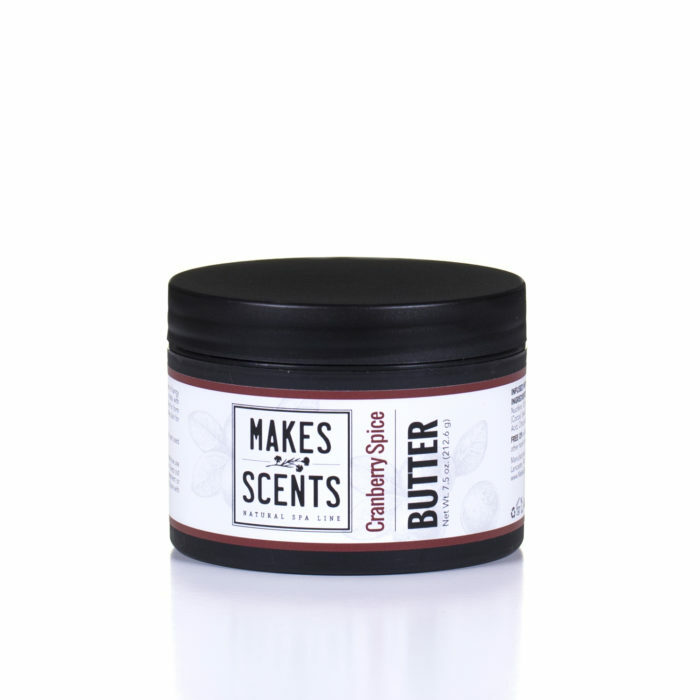 INGREDIENTS: Organic Sucrose (Sugar), Organic Helianthus Annuus (Sunflower) Seed Oil, Butyrospermum Parkii (Shea) Butter, Organic Carthamus Tinctorius (Safflower) Seed Oil, Glycine Soja (Soy) Seed, Vaccinium Macrocarpon (Cranberry) Fruit Seed, Fragrance, Vaccinium Macrocarpon (Cranberry) Fruit Powder, Morus Alba (Mulberry) Fruit Powder, Citrus Aurantium Dulcis (Orange) Peel Oil, Tocopherol (Vitamin E). USE: Stir well before use. 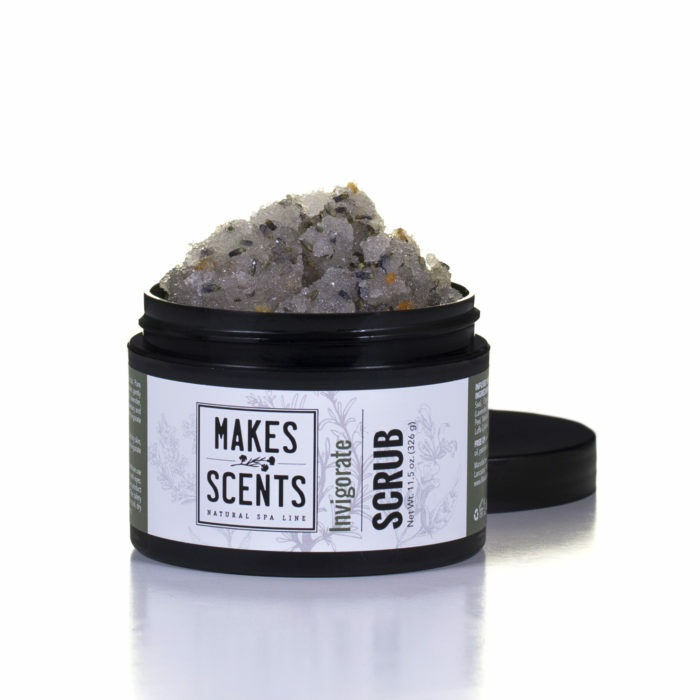 Massage gently in a circular motion onto surface of dry skin, using care not to irritate skin. Rinse with warm water, pat dry, and apply Cranberry Spice Body Butter. Once opened, best used within six months. Be the first to review “Cranberry & Soy Body Scrub” Click here to cancel reply.